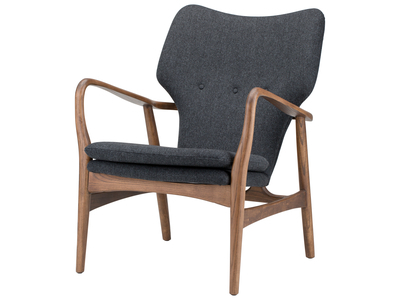 The Patrik is one of HOUSEWORKS’ more popular styles, inspired by Scandinavian design. This accent chair’s sculptural American walnut frame and finely tailored cushions makes for a delightful appearance. 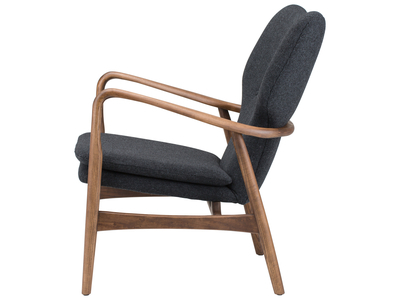 Only available in American Walnut and tweed fabric.